The 7 Style Rules You Should Break | Valet. Just like not wearing white after Labor Day, there are some common fashion rules that were made to be broken. You know, those age-old edicts that we commonly hear or perhaps just think of while we're getting dressed that seem a bit outdated in 2017. It's easy to fall in line and not question convention, but it's time to take a stand, and rebel in style. After all, you should be able to wear whatever looks cool and makes you feel your best, right? And, as you can see from the real guys featured here, there's a lot to be said for breaking the rules. So many of menswear's style rules are tied to the business world. The well-meaning mandates are meant to help guys fit in, but as any Valet. reader knows, good style is about standing apart in just the right way. Why not pair a lightweight sweater (or turtleneck if it's cold enough) under your suit jacket? Or layer a slim crewneck T-shirt in the same shade as your suit for a look that's at once relaxed yet modern and minimalist. Thank workwear's resurgence (2007 - 2010) for the proliferation of rough and raw selvedge denim. The kind you weren't supposed to wash so that you could develop the perfect whiskers and faded wear pattern. But that also meant they could sometimes stink and that lack of washing is what ultimately lead to all those crotch blowouts. Launder your jeans regularly (especially if they're pre-washed) and if you're worried about preserving the fit and fade, then soak them in your bathtub. If you've been following men's style for a while, there's no doubt you've been beaten over the head with terms like "tailored" or "trim" or "slim" or "fitted." And while a well-fitted garment still looks plenty good (and relevant), there's also room for more relaxed, draped and dare-we-say baggy styles. Wide-leg pants and oversized T-shirts or jackets give your outfit a kind of high-end, high-style look of those in-demand indie designer labels. The whole point is to look as if your baggy clothes are a choice and not an accident. This one comes from the world of bespoke suits, where a pair of pants without belt loops is used to display the perfect custom fit. Old school menswear folk would say, if there are loops, fill them with a belt. That's why, these days, the belt-less look takes on a laid back rebel vibe. Now's the ideal time to rock this, as it works perfectly with that easy-going summer style. 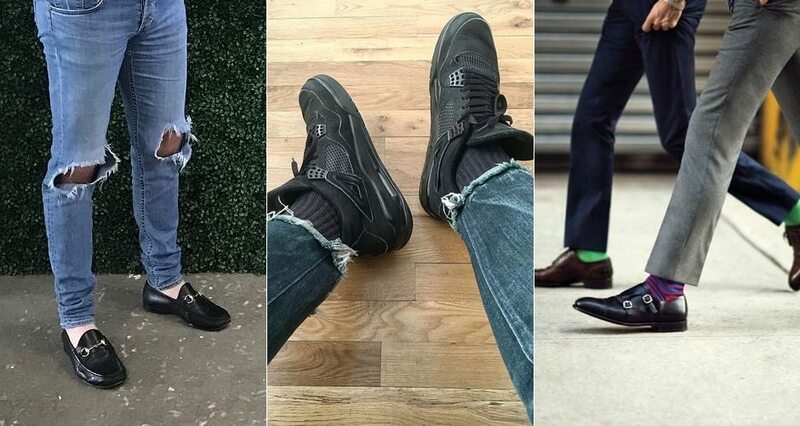 This rule started to lose ground a few years back, when men started cropping and cuffing their pants to show off socks in bright colors and bold patterns. 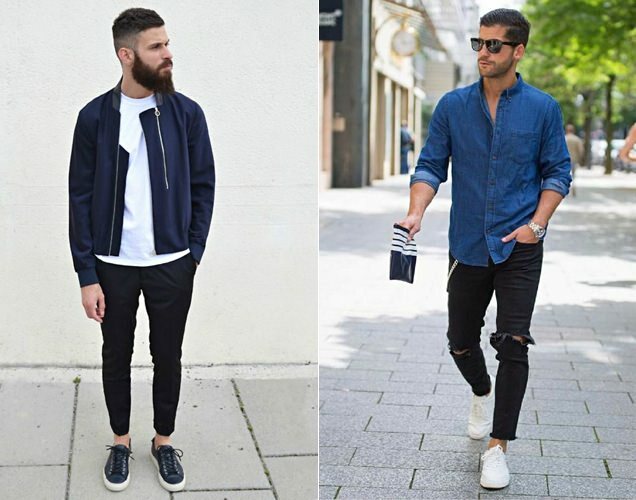 Now, stylish guys are pulling on plain white, black or grey socks with their relaxed pants or frayed-hem jeans. It's a look born from Dad style with a touch of retro '80s, and adds a shot of knowing nonchalance whether you're sporting limited-edition sneakers, old school skater slip-ons or even some smart loafers. 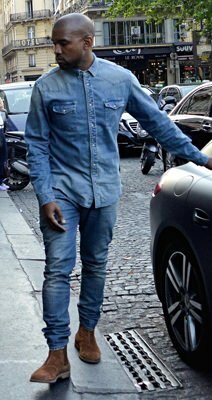 Of course you don't want to go full throwback Timberlake, but double denim has pretty much become a beloved menswear look these days. 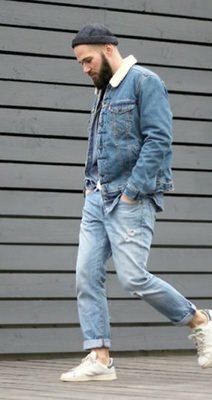 Whether it's a well-worn Western shirt or a denim trucker jacket—it all looks cool and masculine. 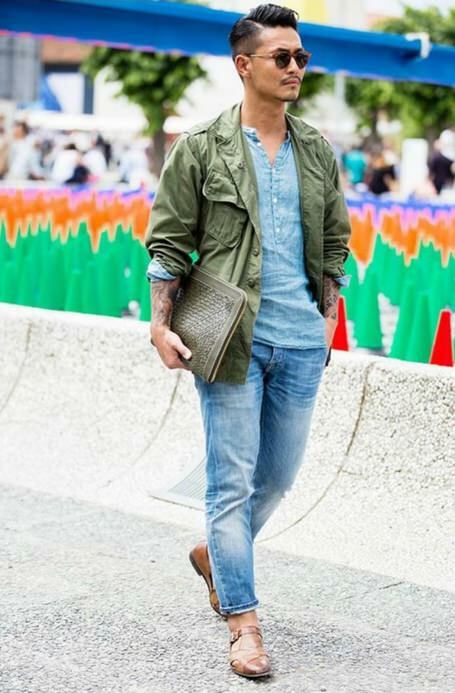 While some still cling to the idea that you can only pair denim with denim of a different wash, that's not necessary. In fact, head-to-toe denim in one shade has a relaxed modernity to it. Like mixing the metals of your jewelry, this outdated rule is based on keeping things simple. Wearing gold and silver together is fine and so is wearing two solid neutrals like black and navy blue. You want to pair a navy jacket with some black pants? Go ahead. A black henley under a navy suit? Sure. A dark blue polo shirt and some black jeans? No problem. These two colors share one big attribute: versatility. Another outdated notion? Men shouldn't wear shorts. A professional shorts-wearer dismisses the idea that men can't look sharp and well-dressed in a pair of short pants. Those old school financial myths that might be bringing you down? Forget about them.